Shelling reported in all sectors. 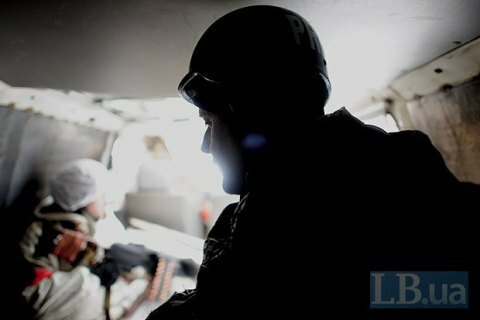 Over the past day, militants 24 times fired at the positions of Ukrainian armed forces in all sectors of the zone of the antiterrorist operation in Donbass, the press center of the ATO said in a release. In the Mariupol sector, terrorists fired 122-mm artillery on Novohryhorivka, and pounded Krasnohorivka and Pavlopil from mortars. The enemy fired grenade launchers of various systems, heavy machine guns and small arms at Talakivka, Shyrokyne and Maryinka. In the area of Talakivka, militants fired IFV weapons. In the direction of Luhansk, militants fired rocket-propelled grenades at Zolote, Novooleksandrivka, Novozvanivka and Stanytsya Luhanska, where an enemy sniper was active. In the Donetsk sector, terrorists repeatedly pounded the positions of Ukrainian army from 122-mm artillery, 120- and 82-mm mortars and small arms in the areas of Luhanske, Novhorodske and Avdiyivka. On Wednesday, the Trilateral contact group for Donbass settlement held the last meeting this year, in which the parties have agreed on the terms of ceasefire for the duration of the season holidays.